We are professional cleaners in London that recurrently get great status in all kinds of cleaning services over the years. It was first established in 2006 by Ms. Alexandra Douglas, who built the cleaning company with the objective of supplying value results to people who needed help in their cleaning. We already have proven ourselves to our clients time and time again. We take pride in what we do and we guarantee customer satisfaction and great service. Our quality cleaning services are accessible at very affordable rates. We will give you the most excellent cleaning services that you ought to have. 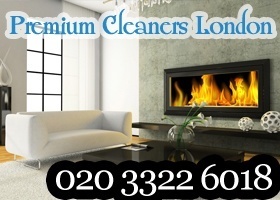 Get your free quote by calling Premium Cleaners London now on 020 3322 6018. If you are interested in our professional cleaners in London, give us a call on 020 3322 6018.